Home > Science > Faith & Science > Can Heavens Have Solutions for Earth’s Problems? Can Heavens Have Solutions for Earth’s Problems? News about approaching asteroids and comets like Asteroid 2014 RC zooming safely by Earth are really catchy and shocking, but could they be profitable? Humans started to mine Planet Earth thousands of years ago. Can they use these centuries of expertise to mine other planets and celestial bodies in the coming years? In August 6, 2014, the European Space Agency‘s Egyptian-named space probe Rosetta completed its decade long journey across space to meet up with its target, Comet 67P/Churyumov–Gerasimenko, making it the first spacecraft to rendezvous with a comet. Just about 50 km away from the comet, Rosetta was traveling in front of it at an average speed of about one meter per second. Rosetta team planned to place the spacecraft in orbit around the comet in a couple of weeks where it stayed for the remainder of its planned mission. In November 2014, the European spacecraft that commemorates the Egyptian Civilization’s contributions to humanity was lowered to ten km to deploy its attached Philae lander on the comet’s surface. The lander that is named after an Egyptian renowned Nile island uses its onboard microscopes to get a closer look at the surface, and it drilled about 25 centimeters into the comet to pull material up for analysis. As this mission clearly helps us understand more about the makeup and resources on small Solar System bodies, the aim of mining comets and asteroids is getting closer and closer. So What is the Difference Between a Comet & an Asteroid? Some comets are believed to be as much as 50% water – dirty snowballs so to speak. Comets generally have very eccentric orbits, and spend most of their time in the outer Solar System, having the innards baked out as they make their passages around the sun. On the other hand, asteroid orbits are less extreme; it is possible that some asteroids could be extinct comets, waiting for their reserves of ancient water to be discovered. Announcements of celestial bodies mining companies, like Planetary Resources, raise some of the most-asked questions about this enticing but complex endeavor include, what asteroids do we mine? Which are the easiest asteroids to get to? Could it really be profitable? Happily the initial answers to those questions are available on a website that estimates the costs and rewards of mining rocks in space. Called Asterank, the website uses available data from multiple scientific sources on asteroid mass and composition to try and compute which asteroids would be the best targets for mining operations. “And if you should count the favors of Allah , you could not enumerate them. Indeed, Allah is Forgiving and Merciful.” (Surat An-Nahl 16:18). Most Profitable: 253 Mathilde, a 52.8 km-diameter C-type (carbonaceous) asteroid that has an estimated value of over $100 trillion and estimated profit of $9.53 trillion (USD). So, this means that there aren’t really ‘experts’ in this field, and even those most knowledgeable about asteroids likely don’t have the numbers needed to completely and accurately estimate the true value of an asteroid or the cost of mining it — “which is why Planetary Resources is going to spend years or even decades investing in LEO-telescopes and data-gathering flybys before they ever touch an asteroid,” Webster said. “The primary purpose of this site is to broadly educate and inspire, rather than provide completely accurate data — which is currently impossible,” he said. “I created the site in response to the announcement of Planetary Resources. “I should point out that nearly all the measurements and hard data come from the scientists at NASA JPL, but I had a lot of fun putting the site together.” And it is fun to peruse the various categories and see what asteroids make the top of each category. 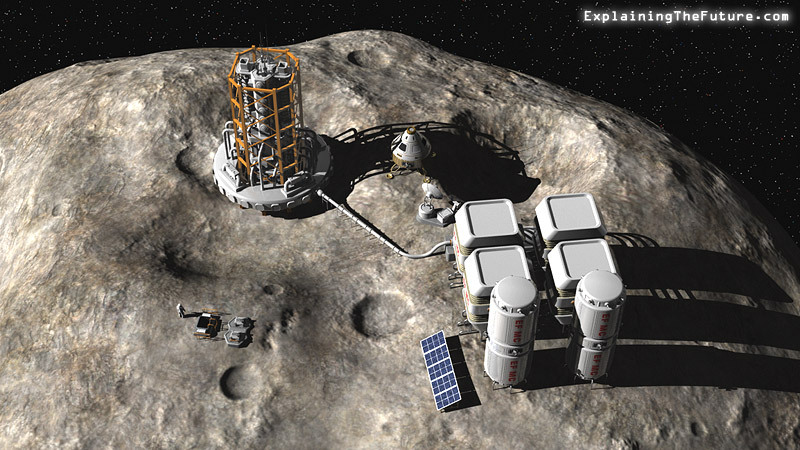 “We really don’t know yet how much it will cost to mine an object millions of miles away,” Webster said. 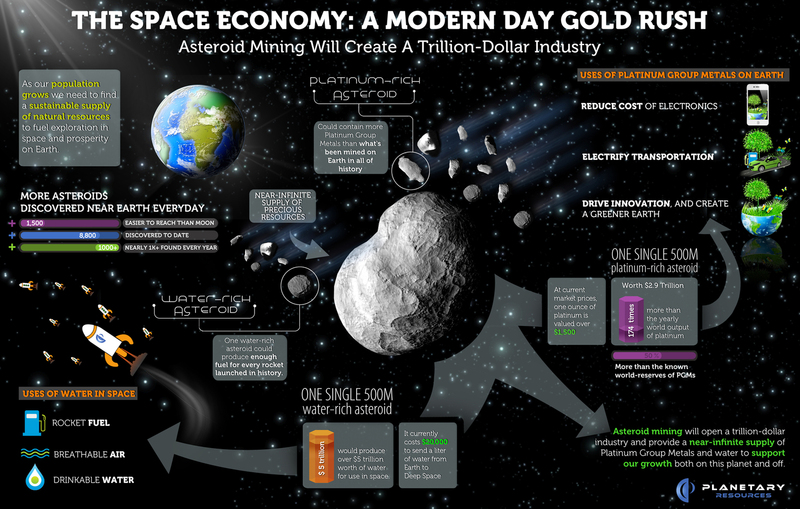 While this website is a first step, it offers an exciting and enjoyable initial look at the potential commercial viability of space mining.